1911 Olympia Theatre of Varieties opened with a seating capacity for 2000 people. 1924 changed hands to the Scottish Cinema and Variety Theatres. The music hall advert in this photo dates from 1916.. 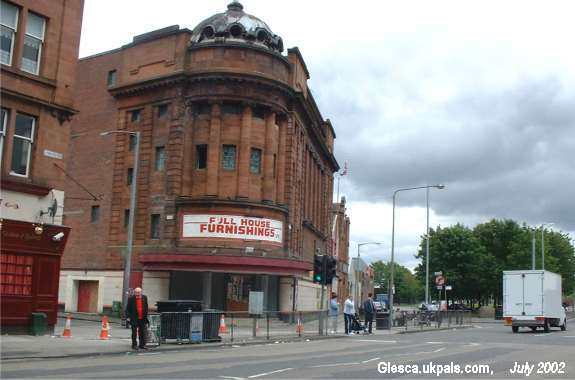 The Olympia ended its days as an ABC cinema in 1974 and reopened as a Bingo Hall in 1978 till the nineties then laterly became a furniture warehouse before sadly lying derelict on Bridgeton Cross for many years. The facade is a listed B building.. The famous ABC Olympia picture house.......this was my favourite picture hall and the one I attended the most, I especially remember every Saturday morning going to the ABC minors...fantastic! Long queues would form along Olympia Street all eagerly waiting on the doors opening, then the orderly rush into the plush seats. A great feeling once inside, the decorated façade, magnificent wavy purple curtain and thick cushioned seats gave this place a feeling of opulence. - words were displayed on the big screen and you followed the bouncing ball and gave it laldy! and shout aloud with glee ! then cartoons, then a serial that ended with a cliffhanger to encourage us to return next week...... it worked!" "........the ABC Minors at the Olympia? Takes me back. 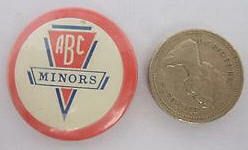 There must be literally millions of those wee round tin badges that says 'ABC' - you know, the ones that glowed in the dark. Nowadays the only thing that glows in the dark is the effluence that floats down the Clyde. And as for the Olympia - that was the East End's equivalent to the Odeon in the toon. When I was a lad, the Olympia seemed a posh place to me. Do you remember how the big chandeliers used to dim very slowly just before the start of the film? My last recollection of the Olympia in all its glory was when they were showing 'Goldfinger' - the queues were massive. A few years later I headed south. 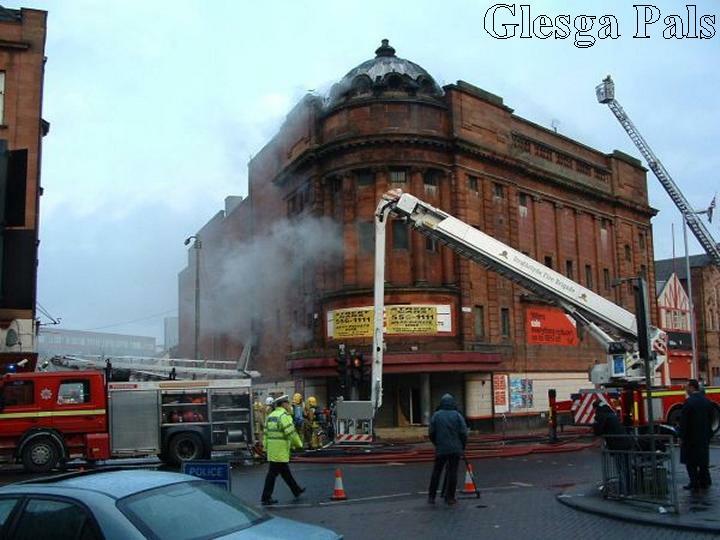 By the time I came back up here the Olympia was just a shadow of its former self, a forlorn building, its majestic presence and status as a landmark (to me) along with the Umbrella in Bridgeton - now becoming an eyesore." I went to several cinemas. 3 – 4 times a week. When young I went to the Olympia ABC minors, 6d (in old money). Cost of the stalls was 9d, the balcony was 1 shilling and 1 shilling 6 pence (1s 6d) with half price for children. The manager wore a dinner suit and the Usherettes wore a uniform. I preferred westerns and thrillers and girlfriend liked westerns and romance. Laurel and Hardie and Abott & Costello. I bought oranges from a barrow outside when I went with my parents when I was very young Remember the usherette (lady with the tray) came out during the interval and occasionally walked up and down the aisle with a torch and shone it on the tray. There were always queues to get in – queued up Orr Street for the balcony and Olympia street for the stalls. We went to the chippie when we came out. Webmaister, my fondest memory about the Olympia at Glasgow Cross, was the the concession for anyone under 15, if they were accompanied by adults. Subsequently, under fifteens on their own would have to pay a Shilling, 12d (5p), however when with an adult, half price i.e. sixpence. We may have been very young but we quickly learned that if you approached a young couple the guy (perhaps keen to impress his bird) would not only agree to the 'request' you would very often be told "keep yer tanners son"
Fifty five years on I still like to tell people, with considerable qualification, no matter where I travel, that Glasgow people are the most generous people in the world. Great times , many good memories . Hi Webmaister, the Olympia was one of more better ones, dearer to get into, I can't remember how much. The last picture I saw in the Olympia was Bonnie & Clyde with Fay Dunaway and Warren Beattie. I liked the cowboy and Indian pictures, and we all cheered when goodies were on screen and boo when baddies were on screen. The stars I liked very much were Barbara Stanwyck, James Mason, Doris Day, Clark Gable, Roy Rogers, Dale Evans and of course Trigger, could go on and on. 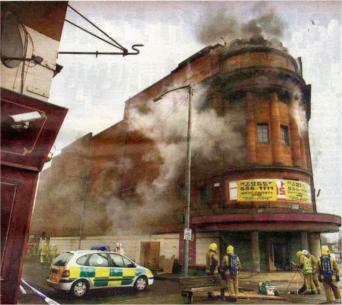 a massive blaze ripped through the old hall. but sadly he died later in the Glasgow Royal Infirmary. centre with a few people sleeping there to avoid the cold. was kept intact..now this fire. I would hate to see another Brigton landmark demolished. Thankfully the facade was saved and was transformed into the wonderful Bridgeton Library.